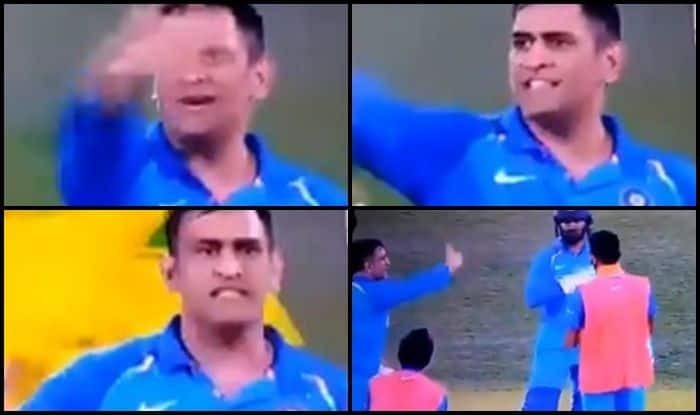 2nd ODI India vs Australia Adelaide: Did former India captain MS Dhoni abuse a teammate while taking a drink break during the 2nd ODI at Adelaide Oval? 2nd ODI India vs Australia Adelaide: Did former India captain MS Dhoni abuse a teammate while taking a drink break during the 2nd ODI at Adelaide Oval? A video that has just surfaced on the internet shows just that. Dhoni, who is usually a cool customer, known as someone with a lot of patience was seen losing his temper. It seemed like he had asked for something particular which did not turn up and that is what got him irritated. Dhoni stayed till the end and remained unbeaten on 55 off 54 balls to seal the win for India and ensure India level the three-match ODI series.